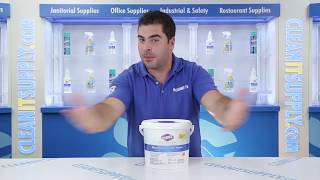 These EPA-compliant germicidal wipes from Clorox help keep sterile environments clean and free of germs. The 12" x 12" size wipes provide excellent coverage. Pre-mixed and ready to use, they contain a 1:10 bleach solution concentration recommended by CDC guidelines. 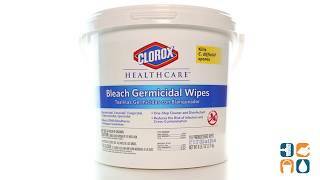 No pre-cleaning required, Clorox Bleach Germicidal Wipes are ideal for hospitals, schools and healthcare centers. Anti-corrosion agents ensure compatibility with hospital grade surfaces. Each bucket includes 110 wipes. Call today to order. Buy more and save big!